Altus has just confirmed that Etrian Odyssey IV: Legends of the Titan will be arriving in the United States on February, 26th. Altus says in Legends of the Titan players explore beautiful yet menacing realms – each varied in flora and fauna – mapping their journey along the way using the touch screen and their stylus. No two games are ever the same, thanks to a character creation and party customisation system that encourages experimentation and rewards creativity and imagination. The developer has also added a causal mode for newcomers to the series. First! Now I’ll be bombarded with ridiculously angry comments! No word on which Nintendo system to be released on? It was tagged 3DS beneath the article. HM this looks interesting. Any idea if it will make sense to people who have never played a game in this series before? with the casual mode it will be accessible to everyone. 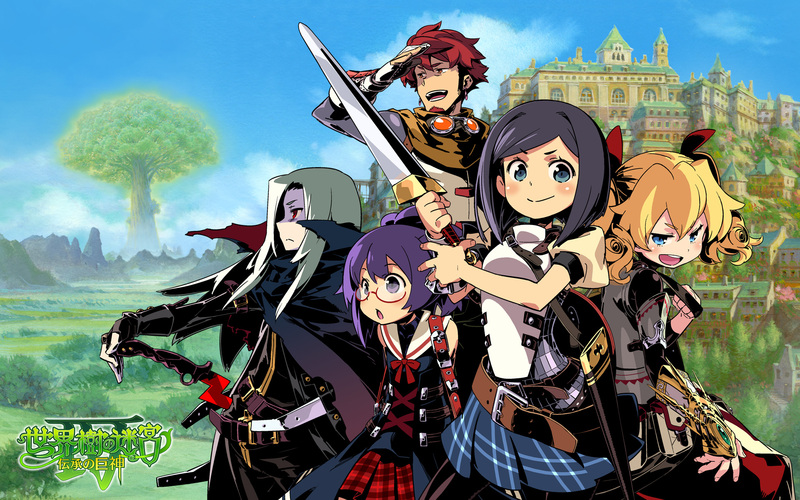 I’d recommend looking up the first 3 Etrian Odyssey games reviews on Youtube to get an idea on gameplay etc. Yet another peach for the 3ds’ library. The other Etrian oddysey games on DS are fantastic! So it’s an RPG, is it? Is it a Strategy RPG? Its a first person RPG, look up some of the previous titles on the DS, not my cup tea. It’s all vegetables, meats and fruit on the 3DS. Throw a bone to the psvita. No pun intended am campaigning that the vita gets some quality titles as well. The Vita is like Sony’s Wii, really. It’s got some decent 1st party stuff but it’s sorely lacking in general support from other sources. Just a taste of what Nintendo fans had to go through, but on a portable scale. Sony’s gamecube* Remember the wii was underpowered , innovative and had unprecedented sales unlike the wii. The vita is sony’s gamecube , it will never surpass 20M lifetime sales.. Unless some sort of miracle happens in the future. I may be wrong , but 3M in its first year is pathetic…. 3rd part isn’t as bad anymore, what fucks Sony over is that most games on the vita are playable on the PS3, it gives ps3 owners no incentive to pick up one other than playing the same games on the go. Thank you for sharing the latest breaking news, Champ. The Nintendo TVii will be going on the air next month. R U ready? Lmao, did anyone click on the link to the trailer xD love the voice over guy for the trailer. “MOSHIMA, SHIN NI TOBADA!! MAKONA, DISU KARADA! !